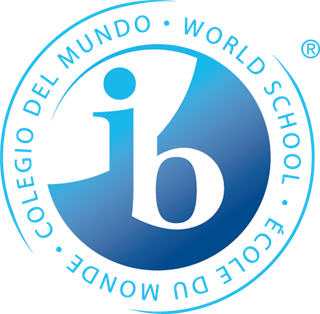 The International Baccalaureate curriculum framework is a vertically integrated and inquiry-based program of studies. This sequential international education experience integrates best practices in teaching with the most current research into how learning takes place at each stage of child development. Students develop the skills to interconnect ideas from their rigorous academic courses and the application of this content knowledge in our community and communities around the globe. While exploring ways of knowing, areas of knowledge and the nature of knowing, IB students at GEMS develop the critical-thinking skills needed to succeed at leading universities in the United States and around the world. Is there a September birthday deadline for enrollment in preschool? No. Incoming preschool students must turn 3 by Dec. 31 of the academic year for which they are enrolled. So for the 2018-2019 school year, preschool students must turn 3 by Dec. 31, 2018. What are the admission requirements for GEMS World Academy Chicago? Prospective parents must complete the online application, schedule a parent meeting and student assessment/interview and submit the following information along with your application – your child's most recent school reports, one copy of your child’s birth certificate and a recent photograph (optional). More information is available here. What is the class size and the student to teacher ratio? The average class size at GEMS World Academy-Chicago will be 16 for pre-K, 18 for junior kindergarten and kindergarten and 22 for grades 1 and up. Our current student to teacher ratio is 8:1. What are the school hours? Is it a full day program? It is a full-day program. We offer before-school care starting at 7:15 a.m.; our after-school care and extracurriculars go no later than 6 p.m.
Why should my family choose GEMS World Academy Chicago? GEMS World Academy Chicago, an International Baccalaureate World School and an Apple Distinguished School, delivers a rigorous international academic program with a focus on mobile learning and the creative use of technology. We are part of the global GEMS Education network of schools, which provides opportunities for active participation in studies that expand knowledge and broaden experience with other cultures and beliefs. At GEMS, students develop character, values, talents and personal skills to achieve full potential as global citizens and leaders of the future. For which grade levels is GEMS World Academy Chicago accepting applications? GEMS World Academy Chicago is currently accepting applications for preschool through Grade 11. Grade 12 will be added for the 2020-2021 school year, completing our preschool-through-12 campus. Outside of tuition is there an expectation of an annual gift? Unlike many independent schools, at GEMS there is no expectation of an annual gift in addition to tuition. What languages do your students learn? Students at GEMS World Academy Chicago can choose to learn Spanish, French or Mandarin during their daily world-language classes. As our student body grows, we will consider offering additional languages. How can parents get involved at GEMS World Academy Chicago? Parent engagement is one of our strongest assurances of providing the best educational experience for families. Our web-based portal offers access to newsletters and announcements, instructional content and links showcasing student work in addition to providing parents with direct contact to teachers. We also have a robust Parent Teacher Organization that organizes cultural events and assists our faculty in numerous ways. When parents are fully engaged in their children’s studies, grades are higher and opportunities for success soar. Does GEMS World Academy Chicago offer financial aid or scholarships? GEMS World Academy Chicago is committed to creating a school community that supports socioeconomic diversity. Our financial aid program provides need-based grants with no expectation of repayment. We also provided scholarship awards to select students based on merit. More information is available here.